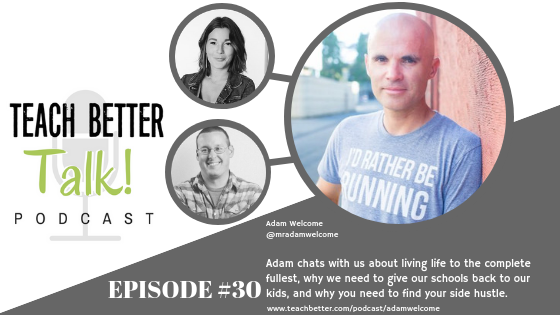 Author, speaker, and “Truth Teller,” Adam Welcome chats with us about living life to the complete fullest, why we need to give our schools back to our kids, and why you need to find your side hustle. 2:57 – Adam introduces himself. 15:30 – What’s got Adam excited about education right now. 19:35 – Adam’s advice to new teachers. 22:16 – Adam talks about finding balance. 27:30 – 6 questions answered in 15 seconds or less. 30:28 – How to connect with Adam. 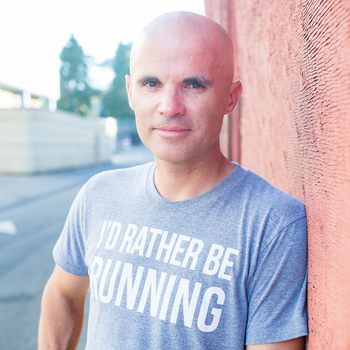 Daily/Weekly/Monthly Routine: Get up 15 minutes earlier and move and workout. Get the blood flowing. Best piece of advice you’ve ever received: Don’t take yourself too seriously.